I made a mental note to check into reservations at I Sodi as my friend’s birthday was soon. I went online when I knew that the day I wanted would become available and snatched a res! 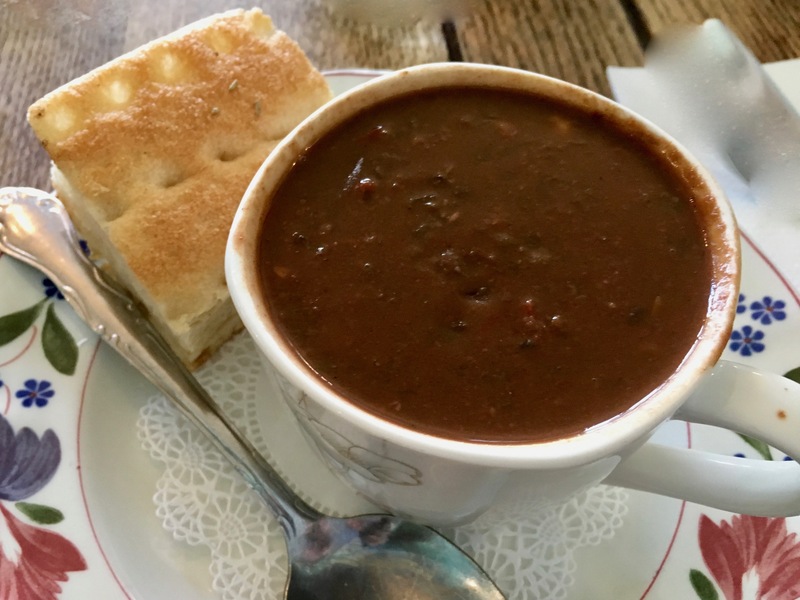 We headed to this minimally-designed tiny restaurant to celebrate her birthday with traditional Tuscan food from chef/owner Rita Sodi (who is married to restaurateur Jody Williams, of Buvette; they co-own Via Carota). Having read all about the seven Negroni variations, I had to have one. 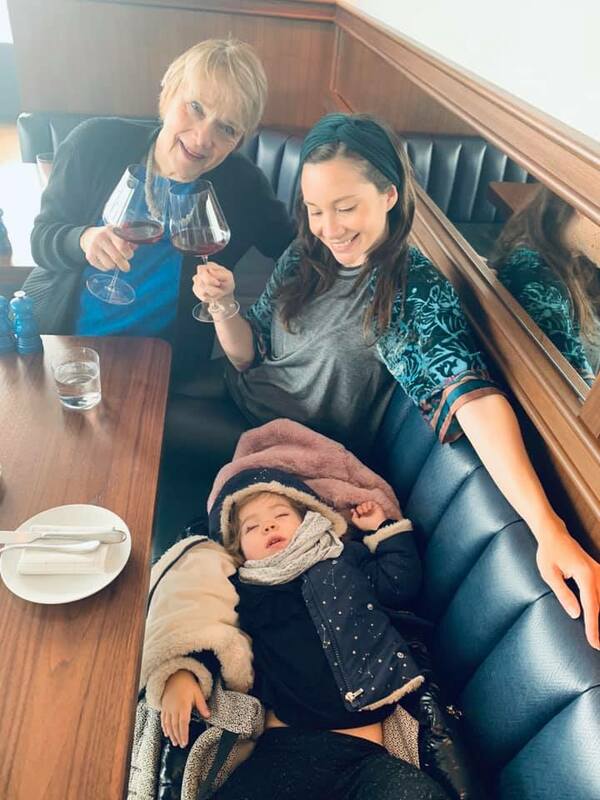 I sampled the classic and never switched to wine. If you’ve never made one it’s easy — add an ounce Campari, sweet vermouth and gin to a rocks glass filled with ice, gently stir and garnish orange peel. Simple! 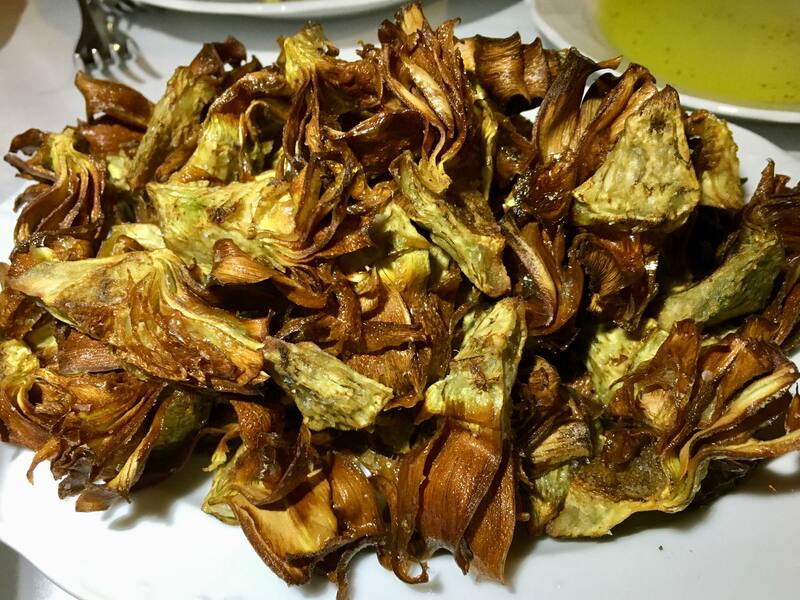 We began with the night’s special fried artichoke hearts, so deliciously crisp and salty they were reminiscent of potato chips ($18). 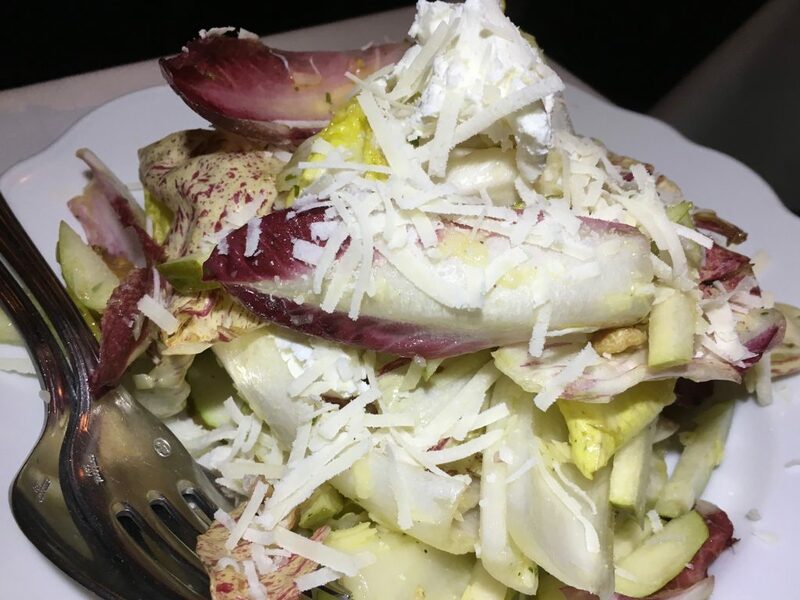 We also shared the lightly dressed endive, Castelfranco radicchio, sliced pear, walnut and goat cheese salad ($16). 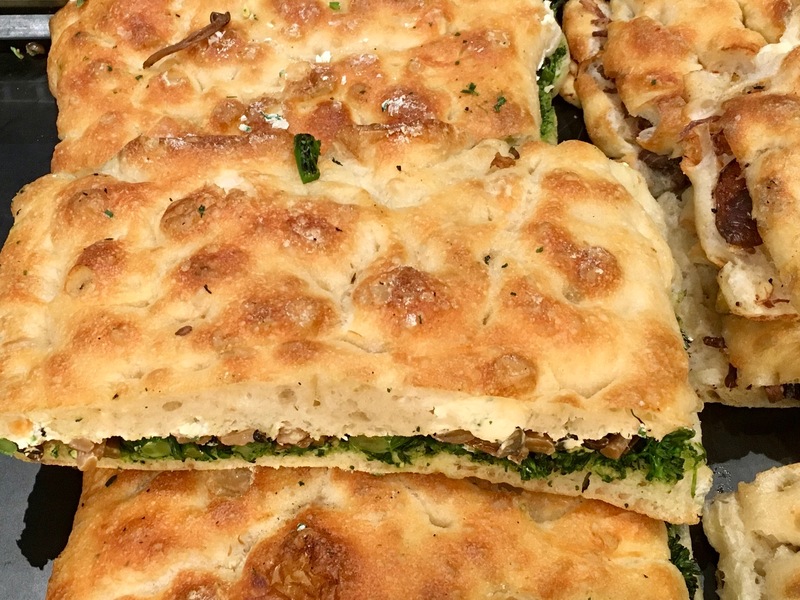 Wonderful crusted bread is offered gratis but only brought to the table if requested. 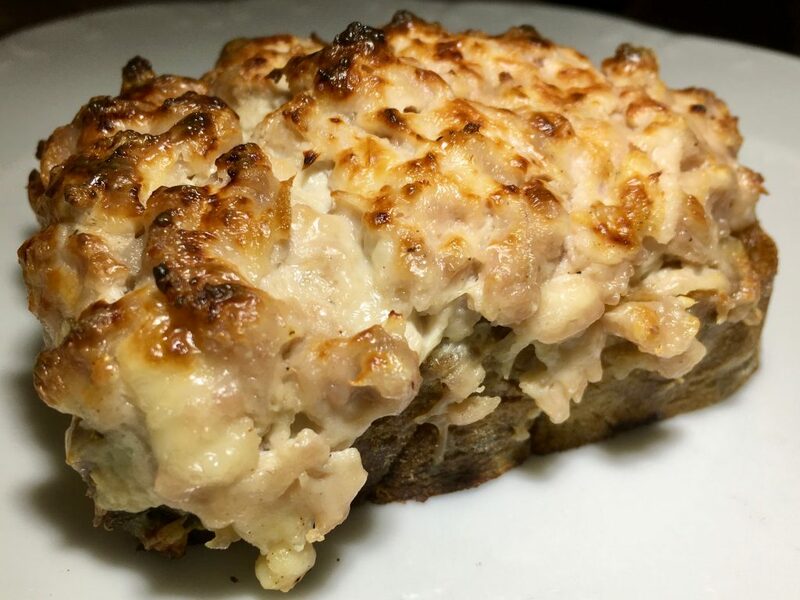 We had noticed and ogled over the sausage and cheese topped bread at the table next to ours. Although the restaurant had just opened, they were already sold out. 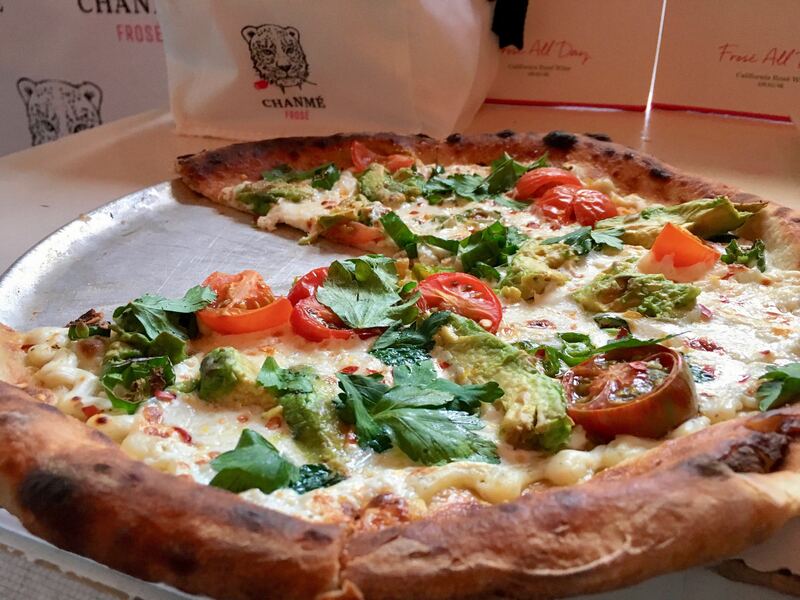 Our friendly neighbors had gotten the last of order and so nicely offered us a piece to share. 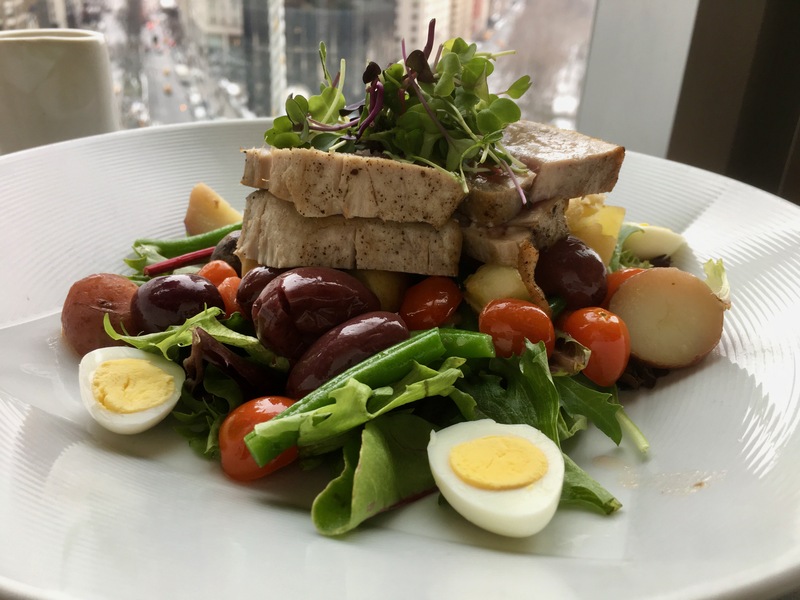 So yummy and filling; and so very New York of them! 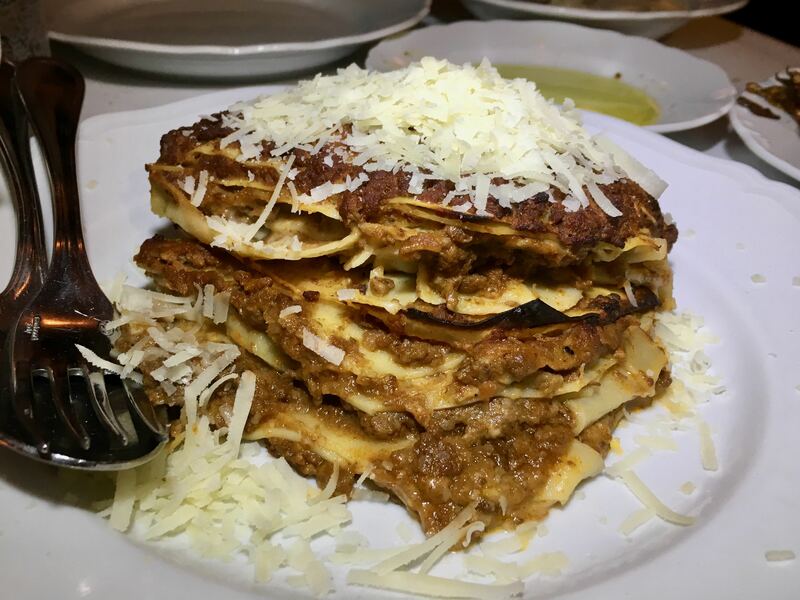 The sugo (meat sauce) lasagne ($27) is not to be missed with its more than a dozen that I counted mille-feuille-like layers of noodles with the hearty meat sauce between them all topped with Parmigiano Reggiano. Heaven. 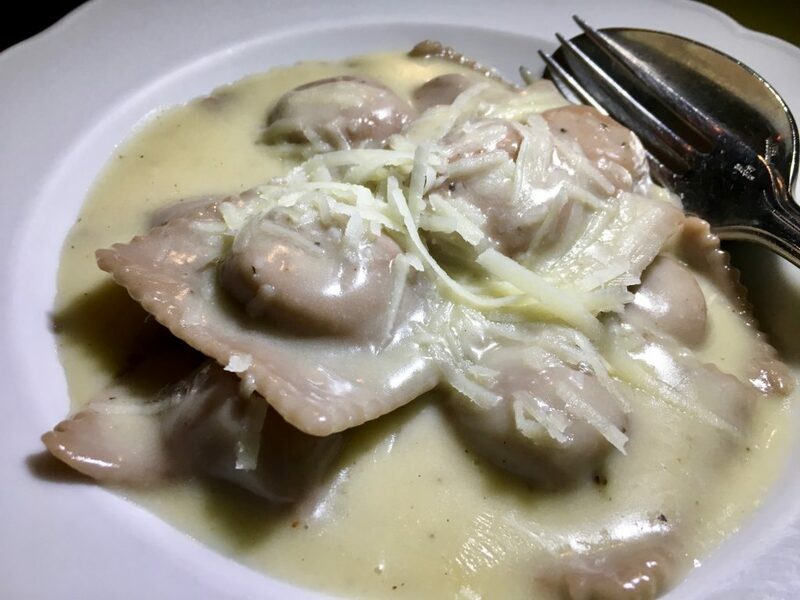 We also had the somewhat sweet, chestnut-filled chestnut-flour tortelli Castagne ($23) that came swimming in a butter and grated cheese sauce. A bit too rich for me. 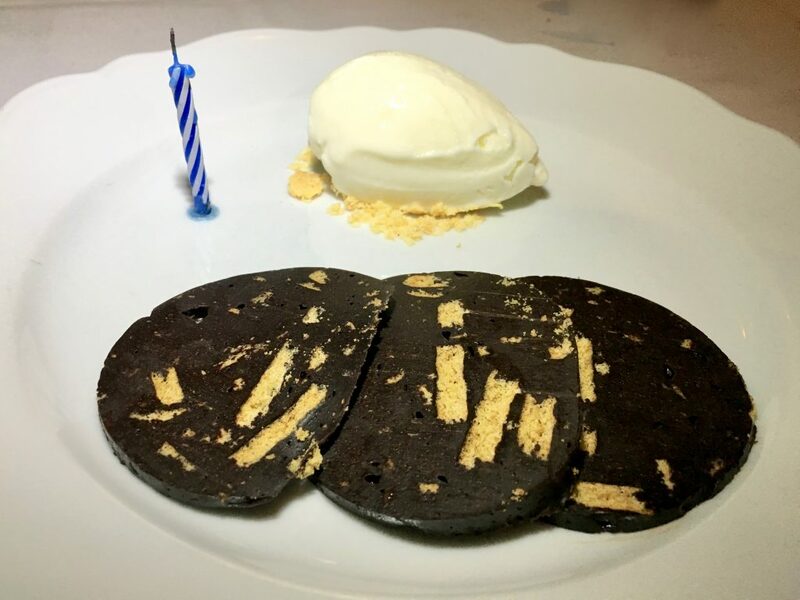 For the birthday dessert, we shared the incredibly rich thin slices of chocolate ganâche, marbled wth graham cracker along with vanilla gelato ($10). We couldn’t finish. 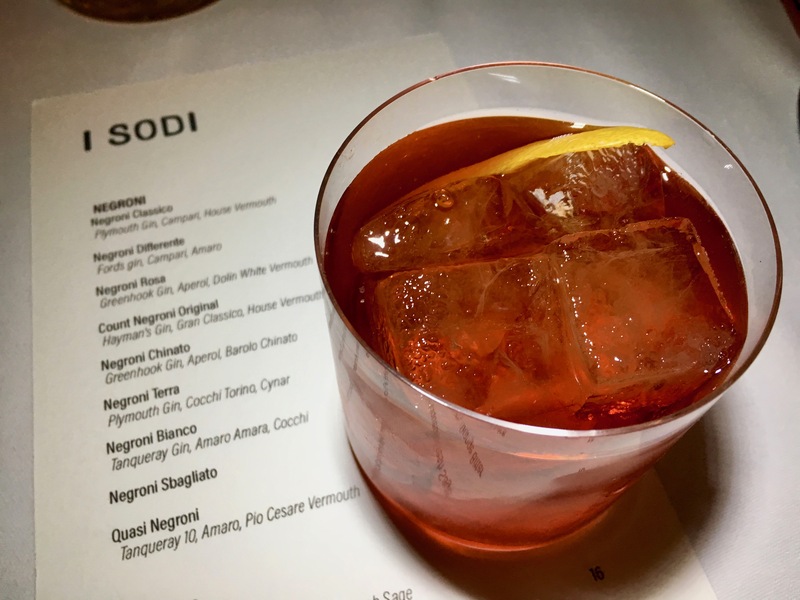 I highly recommend a visit to I Sodi.